In the story of the Three Little Pigs, there are three houses: one made of straw, one made of sticks, and one made of bricks. To help you little one better understand what the big bad wolf was up against, we created our very own houses! 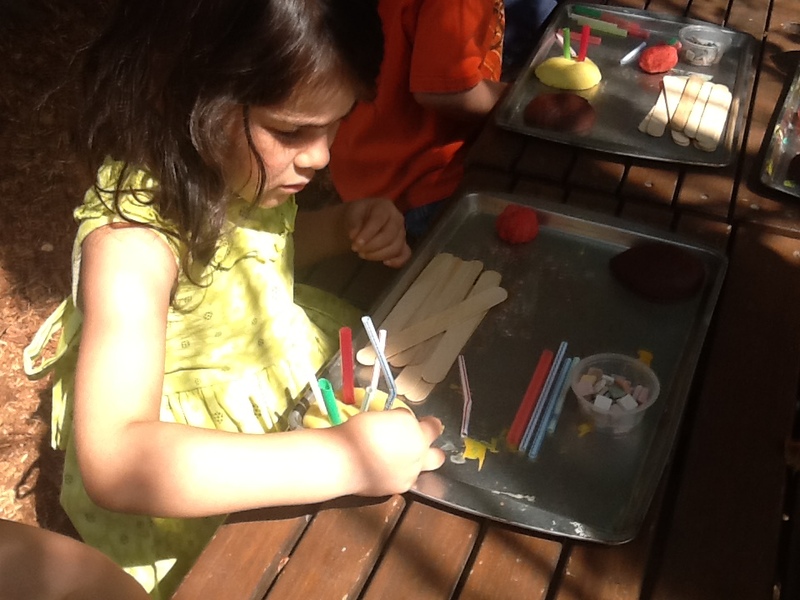 Using play dough, straws, tiles, and sticks, we constructed three different houses just like the three little pigs! 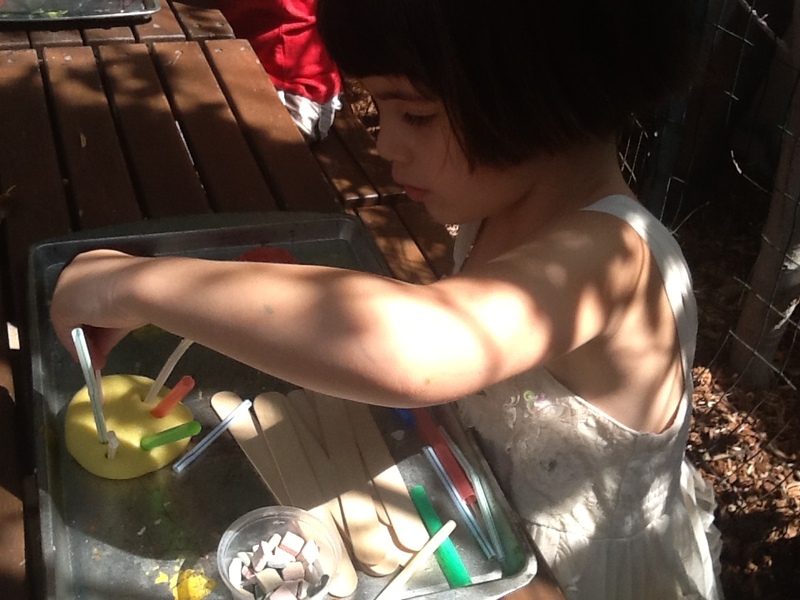 Our first set of materials included yellow play dough and plastic straws. 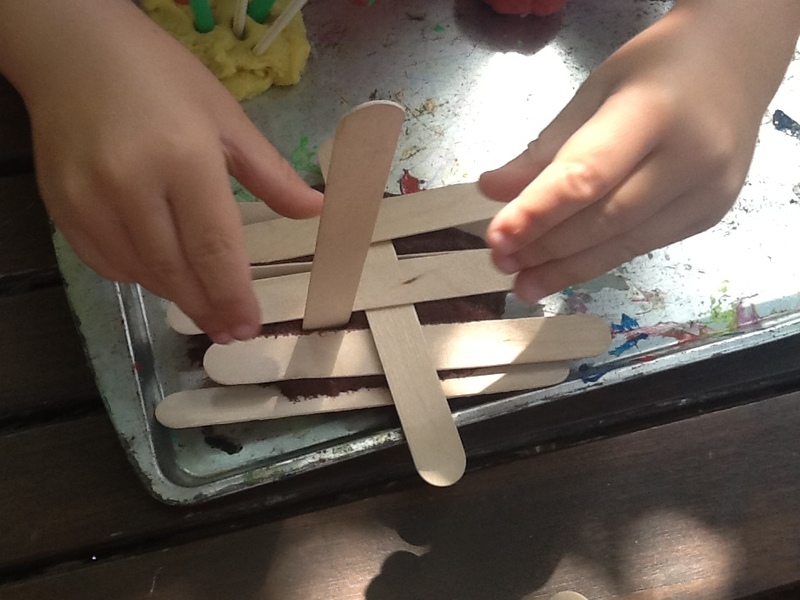 Students were encouraged to stick the straws into the play dough to construct their flimsy houses. 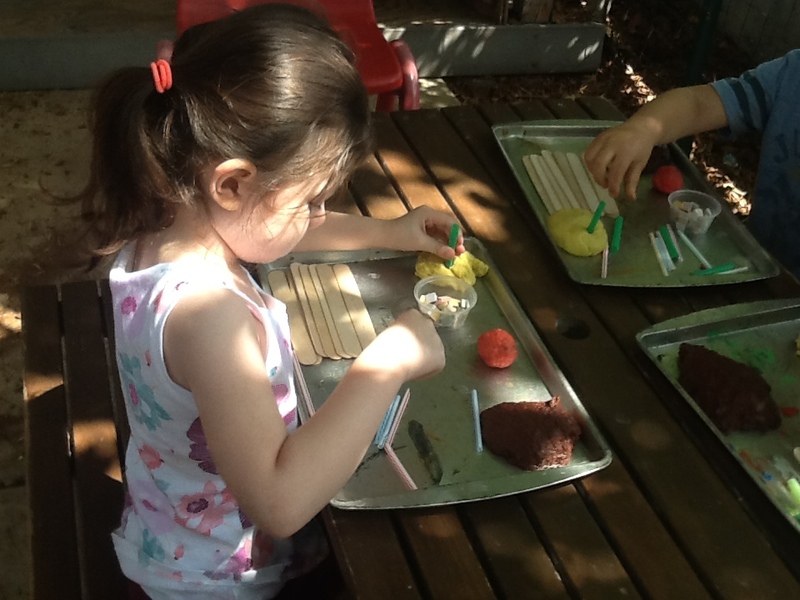 Our second set of materials included brown play dough and craft sticks. 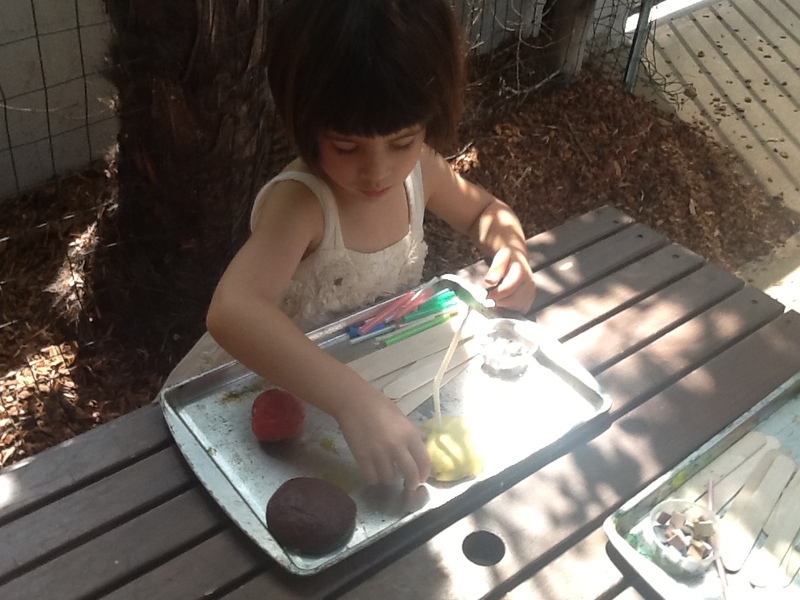 Play dough is an easy substance because it can be quickly made and easily cleaned up. It also makes a fabulous adhesive. Your architects came up with so many designs, I wish I could include them all here! 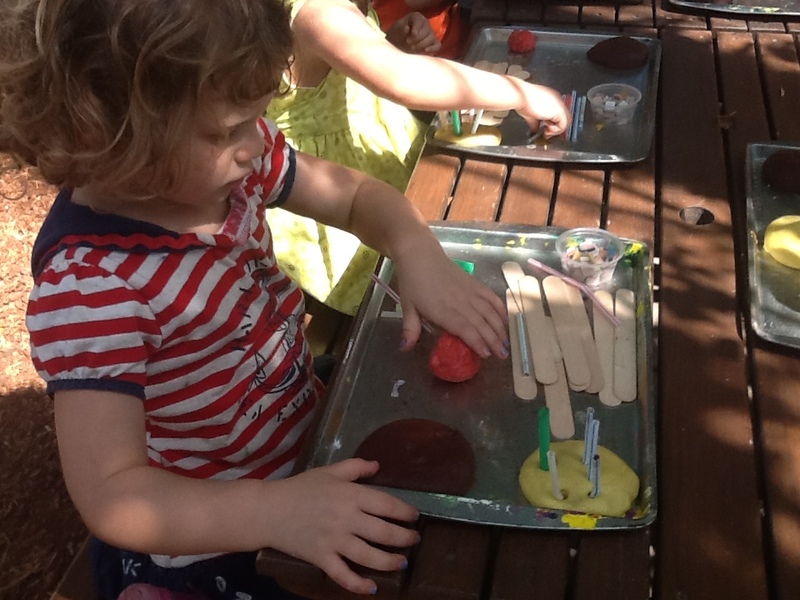 Our third (and final) set of materials consisted of mosaic tiles (to simulate bricks) and orange play dough. This was tricky because they had to figure out how to best place them in the dough so that they could properly balance. So…..why all of the building? 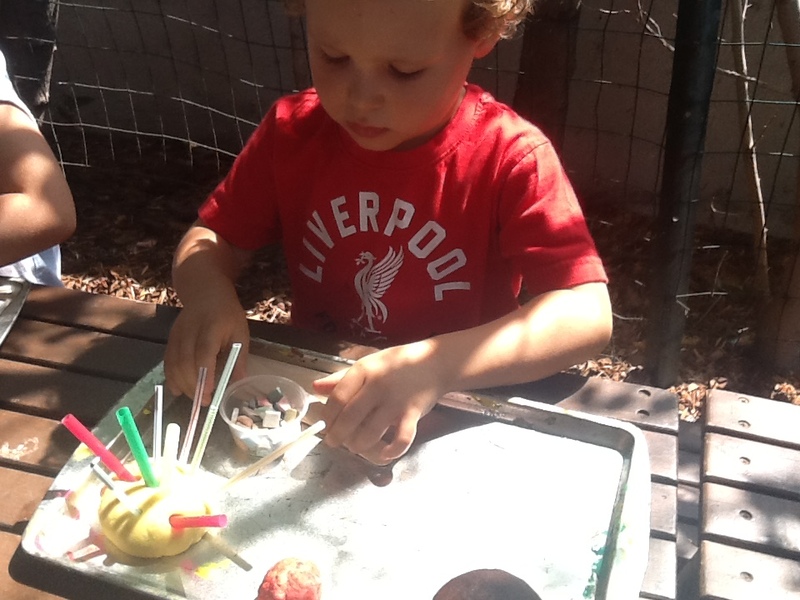 Construction activities like these motivate creative thinking because of the planning that’s involved. 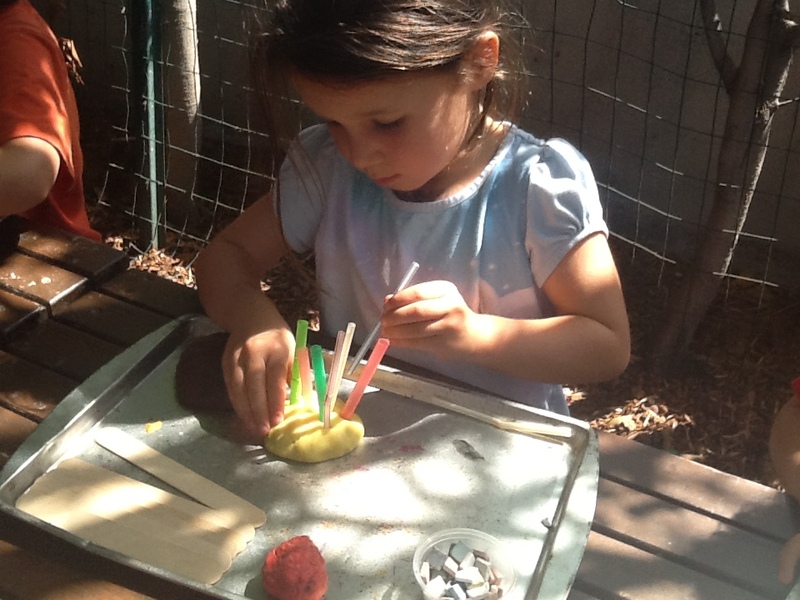 Young builders have to do lots of problem solving. 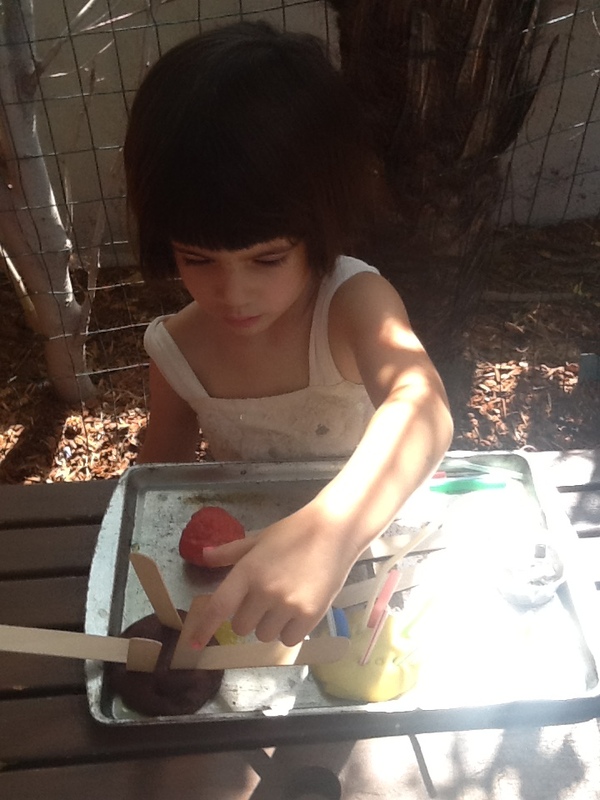 Secondly, our budding builders learn concepts of physics without saying it in such a scientific way. This occurs because of the patterns and divergent thinking that is involved. Given the opportunity to let it grow, you’ll see the creativity of what they’re building metamorphasize.